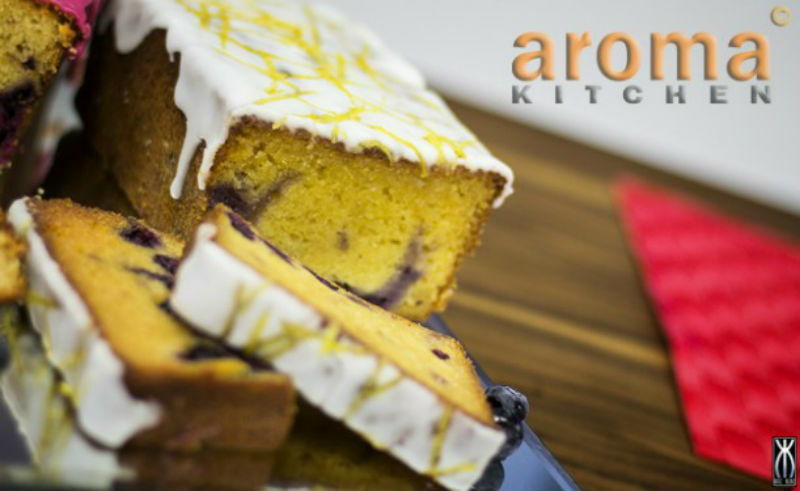 This is a quick lemon cake with the lovely addition of blueberries. Kids can help make this simple springtime treat. Delicious! 1. Grease a 2lb loaf tin and line the base and sides with baking paper. For the cake, place the Greek yoghurt, lemon curd and butter in a large bowl and mix with a spoon till smooth. 2. Add in all the remaining ingredients (except the lemon juice) and mix together well till you obtain a smooth, creamy cake batter. 3. Place ½ of the mixture into the prepared loaf tin, sprinkle over the blueberries, then top with the remaining cake mixture. 4. Bake in the oven at 160oC for approximately 1 hour 15 minutes, or until cooked through. 5. Allow to cool down completely then turn out onto a serving plate. 6. Mix the icing sugar with the lemon juice to form a thick icing, then drizzle over the cake to decorate. 7. Allow to set before serving.